Thursdays are a funny day for me. I gather the weekend happenings throughout the week in preparation for putting it all together and writing it on Thursday. Sometimes the hardest part is figuring out the intro to the weekend. Ramona is a special place, I truly believe that and I want to convey just the right message so other people can feel that too! This week we are starting our weekend off with our cruise night as we always do, but this week I feel like our cruise has a little more meaning. Tonight’s cruise is dedicated to our law enforcement men and women. Tonight we honor them and show them we appreciate them! I’m hoping that tonight is our biggest and best cruise ever. If you are planning on going grab or bring a small flag to wave as the cars drive by. Let’s show people what Ramona is really about! 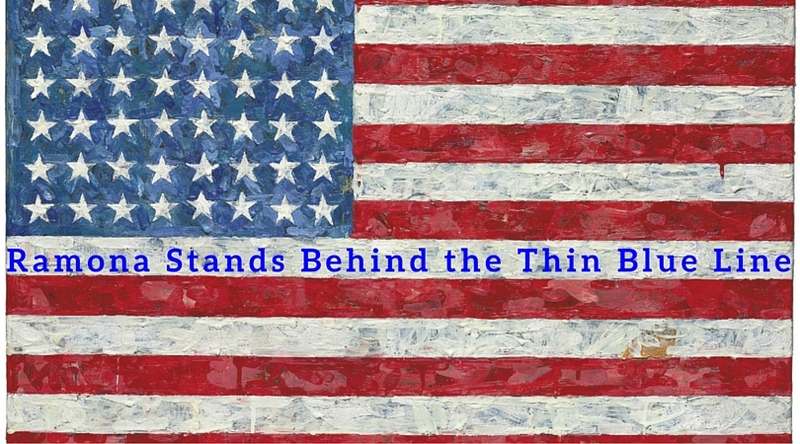 Ramona stands behind the thin blue line! We are a community that cares! That is how we want to be known! 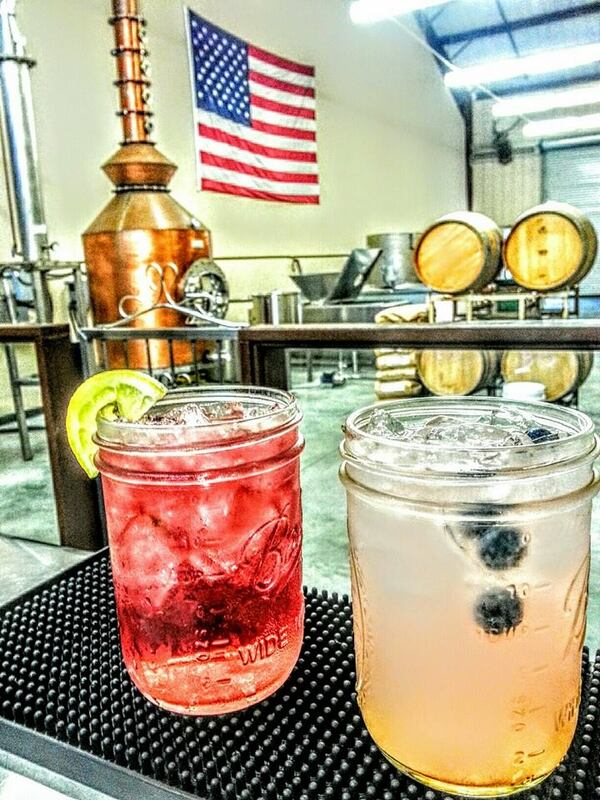 Stop by the tasting room for some of their famous Sangria. $5 for a glass tonight! Then you can grab a plate of street tacos from Pepe’s Produce, plates are $5. Ladies, you can still get your hands on blingy t’s and tanks. Stop by tonight and grab a couple to wear on Thursdays! Ramona Mainstage is serving up $5 beers, hot dogs, and nachos for you tonight. Stop by and grab a seat out front! Stop by The Main Course tonight for a good meal with a side of classic cars! The Main Course will be serving some special BBQ for tonight’s cruise. Why not have a great dinner and sit outside and enjoy the show?!! Tonight and every Thursday Cruise Night, Ramona Café and Turtle Rock Ridge Winery are pairing up to treat you to something special! Grab dinner and a glass of Cruise Night Blue Sangria! You get a refillable glass for $12 and refills for $8. If you love Turtle Rock Ridge Wine and you love food, then you have hit the winning combo here! 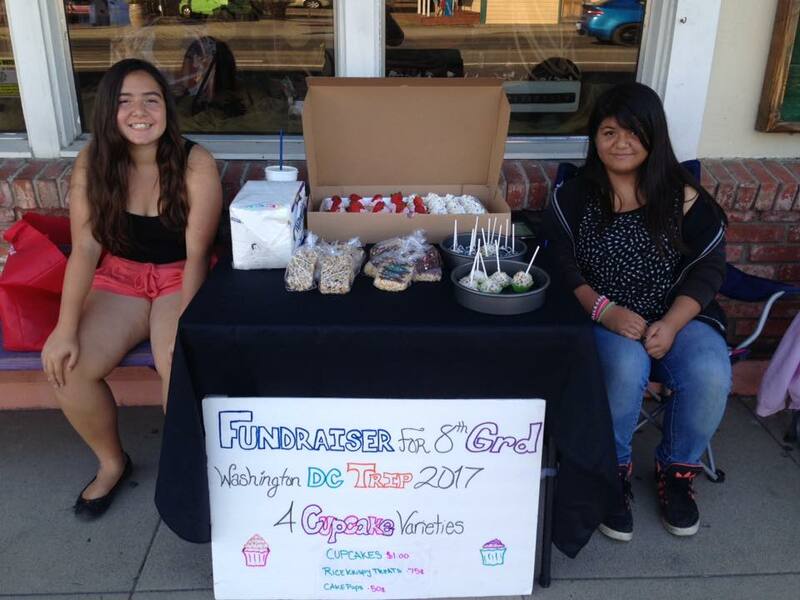 Have you stopped by Ramona Family Naturals for a cruise night meal yet? Well tonight is one not to be missed! They are cooking Tri Tip Chimichurri with roasted vegetables. I do love me some Tri Tip! I know what I’ll be eating! Plus grab a seat out front to watch the show! How hungry are you?? Tonight Packards will be serving up some yummy pulled Smoked beef ribs, cheesy creole tater tots, and homemade macaroni salad. Delish! The Ramona Skatepark Champions are really catering to you tonight. 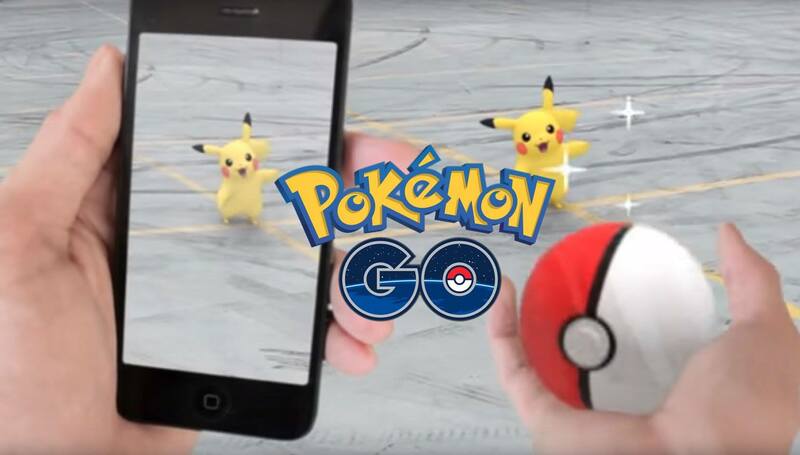 Not only are they doling out Root Beer Floats (which you NEED in your life) but they are also going to be a Pokemon Go Pokestop tonight starting at 7pm! So bring some cash, donate your dollars, get a root beer float, and get some Pokeballs while you’re at it!...because all the cool kids are doing it! Help support one of our young Ramonian’s get to D.C. The Corn Lady will be out tonight with her amazing corn for all of her loyal followers. She will be parked between Ramona Food and Clothes Closet and Main Street Rocha Church. Go get yourself some of the best corn you will EVER eat! Do it! Open late tonight until 8pm, walk around a check out all of their great handmade items then step outside and get some grub carnival style from Carnival of Food, tonight they will be serving up BBQ’d hamburgers, hot dogs, brauts, and Mr. Scoops will be out with cool treats too! Ramona Town Radio will be broadcasting LIVE right outside the Chamber of Commerce building. Have you downloaded their app yet on your phone? 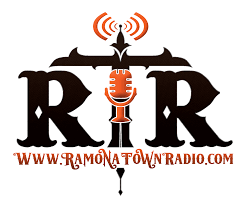 Head to the app store and hit download and take Ramona Town Radio with you wherever you go! Every Thursday Night you can enjoy Up the Hill Grills Yummy Cruise Night Special, Smoked Sausage Sandwich with grilled mushrooms, and cheese on a roll with fries. Plus, who wouldn’t want to watch the cars go by from their patio! Lots of other great and tasty things on the menu as well! San Diego Sunshine is open late tonight until 9pm. Stop by their tasting room located at 432 Maple Street Ste. 6 after you’ve watched the cruise and stuffed yourself with amazing food and try one of their local specialty drinks. You won’t know that you LOVE it until you try it! Call in your order to Pizza Hut tonight and get a large 1 topping pizza for $7.99 from 6-9pm. Go pick it up and grab your seats on the street and watch the cars go by while enjoying your pie! Since I am a sucker for pizza, this is super easy and super tasty!! The Mason Jar – Get 20% off the entire store tonight!!!! The rest of your weekend goes something like this…. 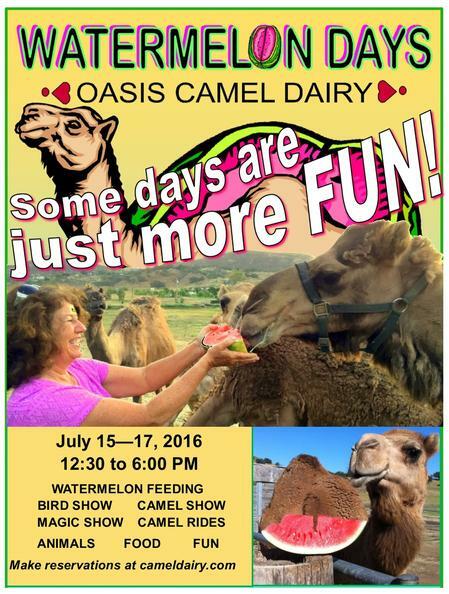 Friday July 15th – 17th head out to Oasis Camel Dairy for their Watermelon Days! Each day from 12:30-6:00pm enjoy some BBQ and treats while you feed the camels watermelon! Have you been to this event before? How much fun does this sound? You can ride a camel, watch a magic show, and so much more!! This is truly fun for the entire family!! General admission for this event is $15 and only $10 for children 4-14, children 3 and under are FREE! 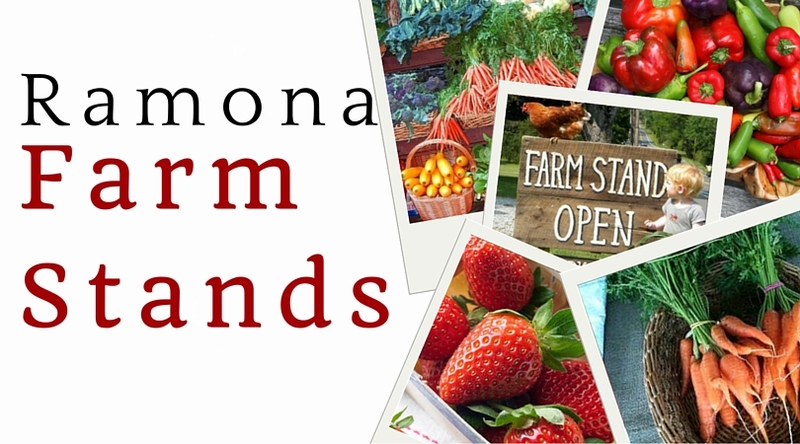 Ramona Certified Farmers Market this Saturday morning from 9am to 1pm. 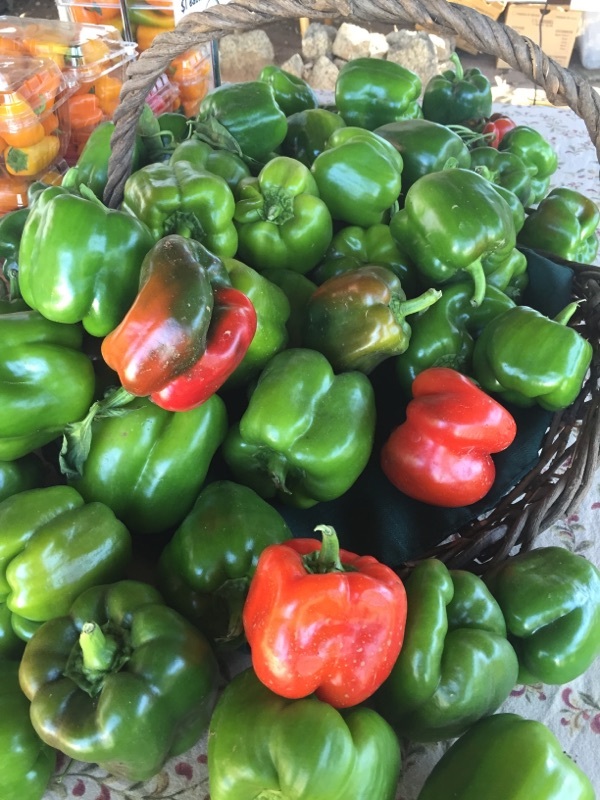 With vendors ranging from produce to plants there really is a little bit of everything at the Farmers Market. Stop by the Kmart parking lot to check it out for yourself. Are you a vendor who makes something AWESOME or do you have something AMAZING to sell? Why not try out the Farmer’s Market? I would to see our Farmer’s Market grow!!! Give it a try!!! Visit www.ramonafarmersmarket.ning.com to get more information about how to become a vendor at the Market!! Are you an amateur gardener with a plethora of extra veggies? Well this weekend you are in luck! Ramona Family Naturals is hosting their Garden Swap! From 9am to 10am you can bring your fruits, veggies, and or homemade goods to swap! Now is the time to hit up your local farm stands for some seriously good fresh produce and if you stop at Kountry Made Farm you can get ice cream, cheese, jams, jellies, and organic eggs! Why not spend some time and stop at all of them this weekend! I’ll give you a gold star if you hit them all! Wine, art and music, what more could you want? This weekend enjoy live original music by Salvador Padilla and some beautiful sculptures by numerous Latin American artists. Their new bar is up and just waiting for you! 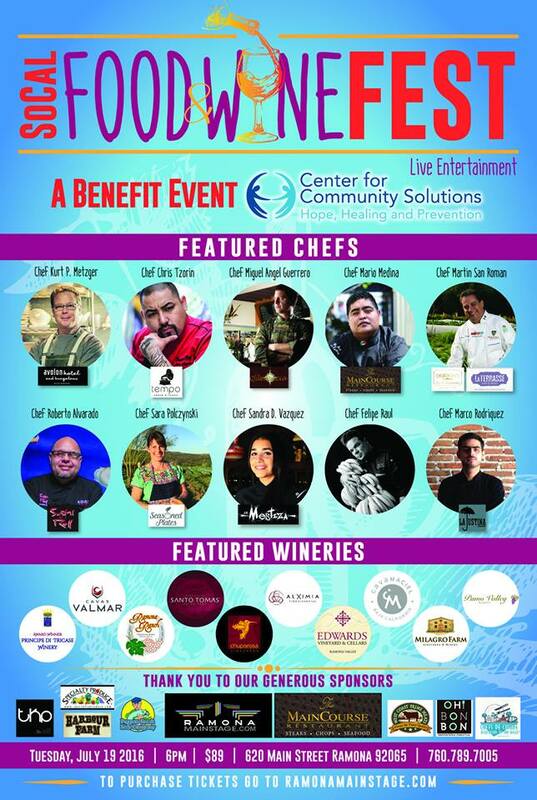 Why not stop by La Finquita Winery this weekend? The A/C will be on and you can even order one of their yummy wine slushies! Sounds like a great time to me, plus it is Christmas in July at the winery this weekend. Start your shopping early! Hmmm, I wonder if Santa will be there in a Tommy Bahama shirt and Bermuda shorts!??!!! Stop by Ramona Ranch Winery this Saturday to enjoy a complimentary cheese sampling from Cheeses from the Cave. 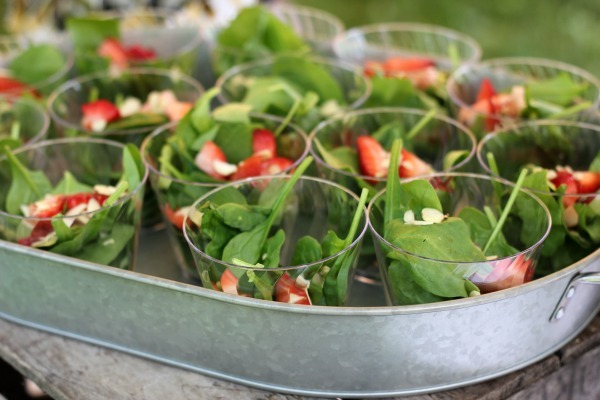 Then prepare your taste buds for another great sampling from San Diego Olive Oil as they tempt you with some strawberry salad tasting cups featuring their AMAZING blackberry balsamic vinegar! They will also have their other flavored oils and vinegars with bread for dipping to sample. On top of all these tasty samples you can enjoy some lovely wine and a great atmosphere! This one is a must! Why not stop over at one of the most beautiful wineries in Ramona this weekend? They just released their 2015 Spanish Blush, it is a blush of Tempranillo. It is a must try!! Their Muscat is also a popular wine to try. Head over there this weekend and tell them I sent you! Are you looking for Waldo? Check out the information below and start playing this weekend!! So much fun!!! 3 Places to Check out This Weekend!!! Ummm have you been to The London Bakery yet??? Holy cow if not you are missing out!! I stopped over to get a treat and had an AMAZING peanut butter cup cupcake, so yummy. But the pieced résistance is the Queen Victoria Sponge Cake, there are not words for this experience!!! Get there early to snag a piece of this because they sell out! Their scones are pretty amazing too! Don’t miss out on this new little gem right next to Ramona Café! Have you been to Mama Rosa’s lately? Honestly, this is my FAVORITE pizza in town. Mama Rosa opened up in 1979 and has been family owned and operated since day 1. Honestly everything on the menu is amazing and if you have the time to eat there you will not be disappointed in the food or the service! Put Mama Rosa on your list this weekend! Say hi to Elizabeth for me! I LOVE A Classic Tale Bookshop!!! Truly it is one of my favorite places! I feel like I have been magically placed in The Shop Around the Corner from the movie You’ve Got Mail every time I walk in. The best part is that Julie has such cool stuff in there right now. Classic toys and AMAZING books! 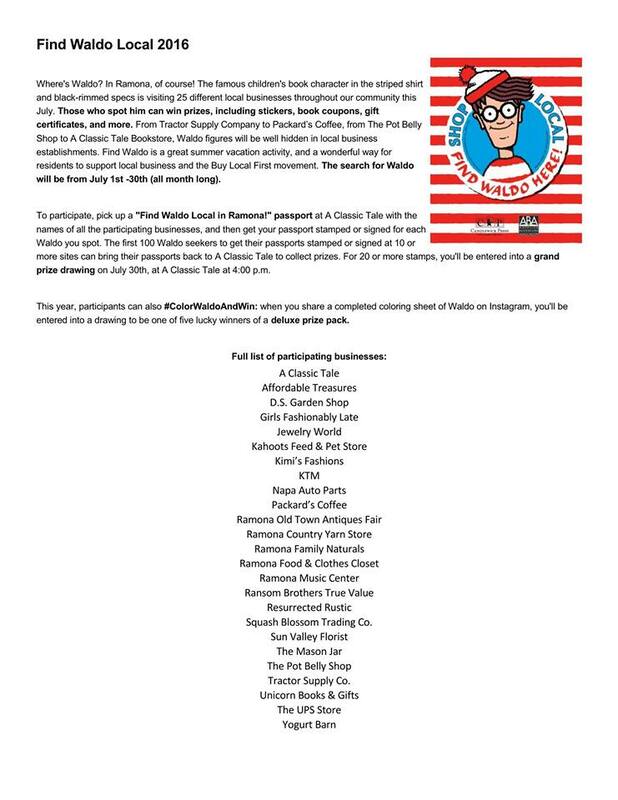 Plus, this is great place to start if you want to participate in the Find Waldo contest! I also wanted to let you know that you can vote for "The Best of Ramona" now by clicking here. Vote for your favorite businesses and restaurants.! There you have it! Four days full of fun and three places to try out this weekend and something fun to do on Tuesday! Stay cool and stay safe! Have a great weekend Ramona!